We suggest using Charts alone in the slides, without other elements unless it's necessary. 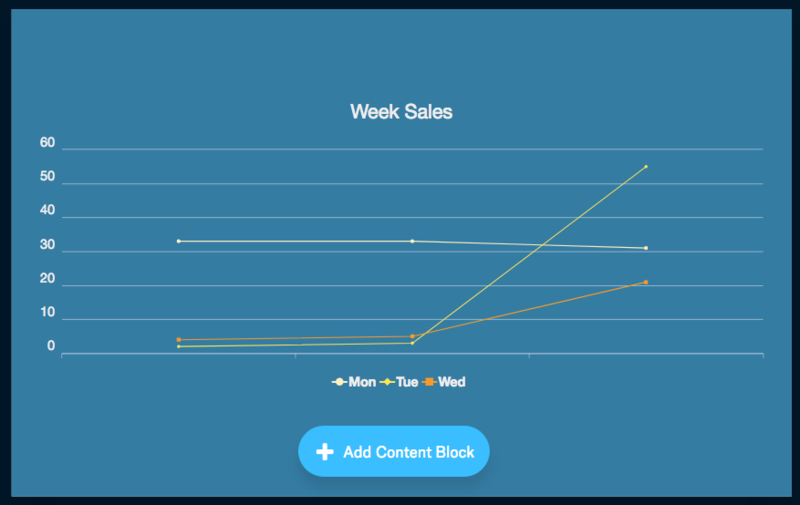 Add a New slide, or use one with enough space, click on Add Content Block and choose Line Chart. Once added, a default graph is generated and you need to click on Edit. A new window will pop up where you can input your data. A preview will be generated within the Edit window, for you to see the updated graphic. 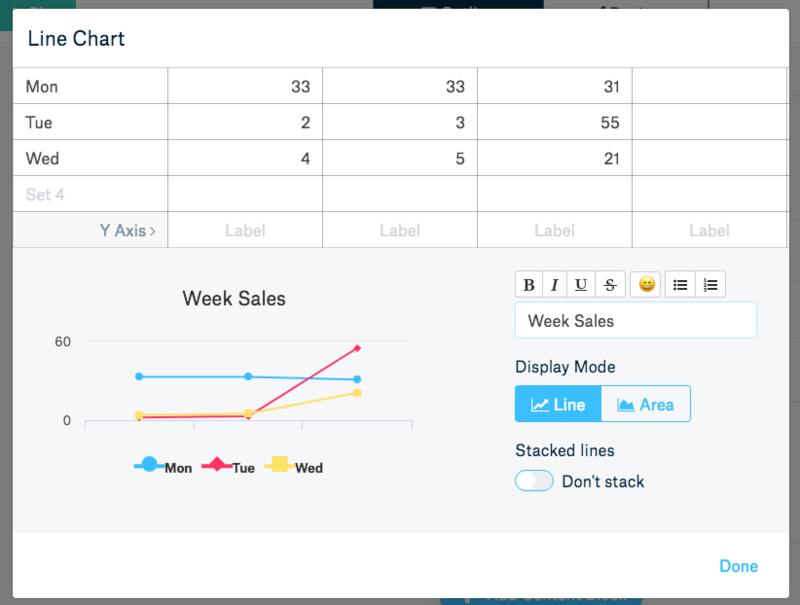 You have the option to see data Stacked with Lines or Area. Check the final render of the graph by moving to the Design section. There you can resize the chart and texts, by just clicking on the graph itself. A panel with editing options will be displayed. 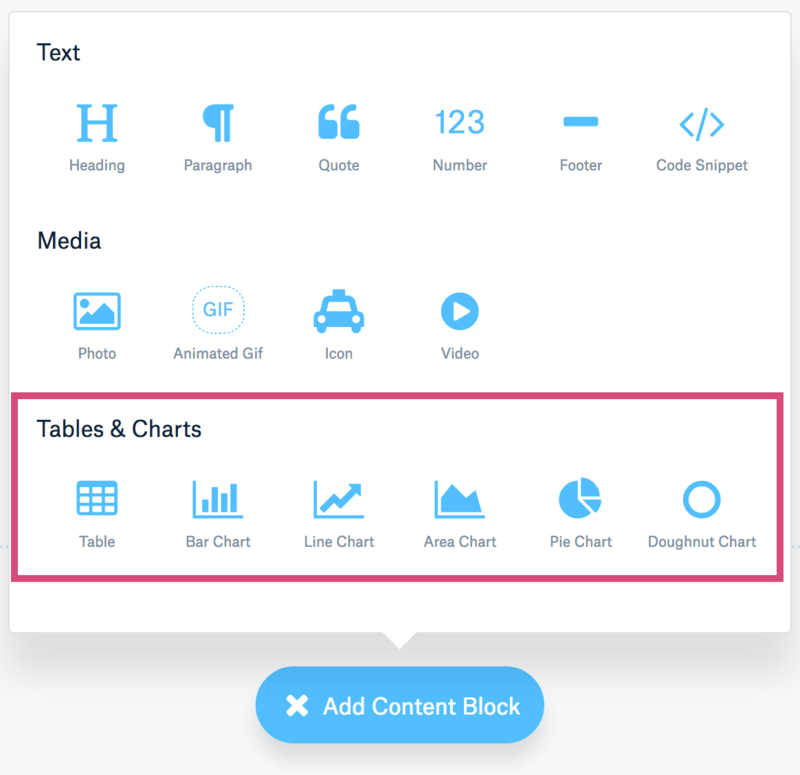 Keep in mind that the chart will automatically resize according to space on the slide, and remember our suggestion to leave enough room for proper display.